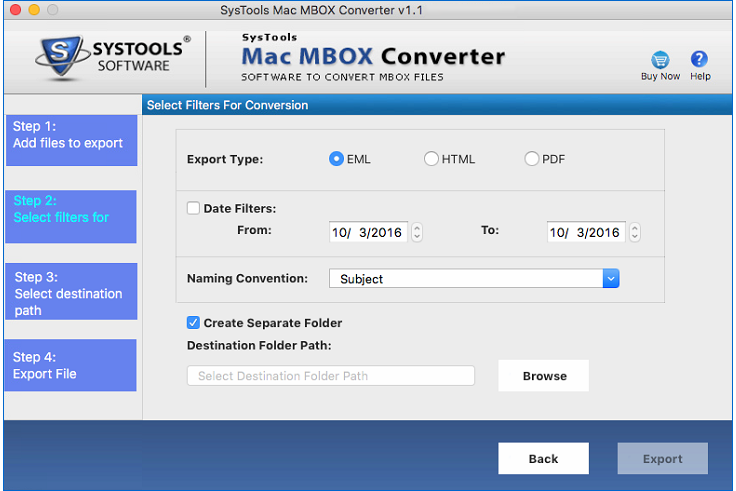 Follow the working steps for converting MBOX files into EML, PDF & HTML with user friendly steps. 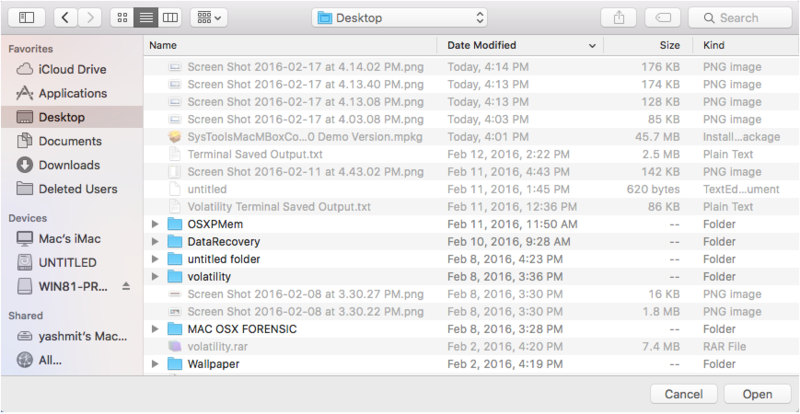 The tool procedure is simple to understand with the below screenshots for file conversion. 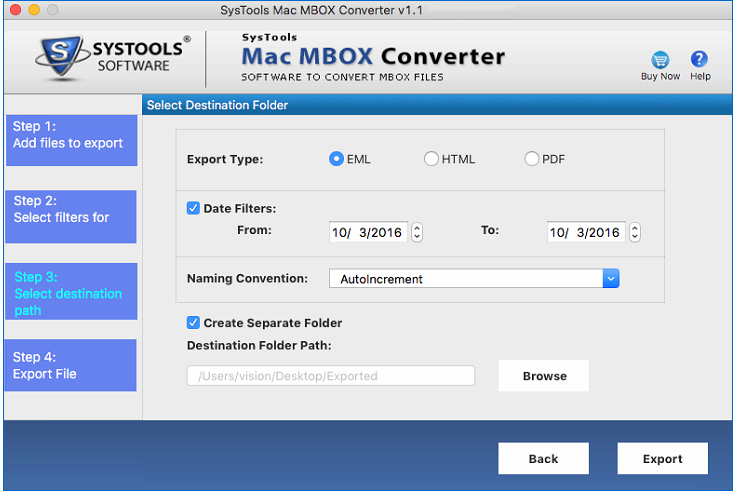 Launch the software after installing on Mac platform. 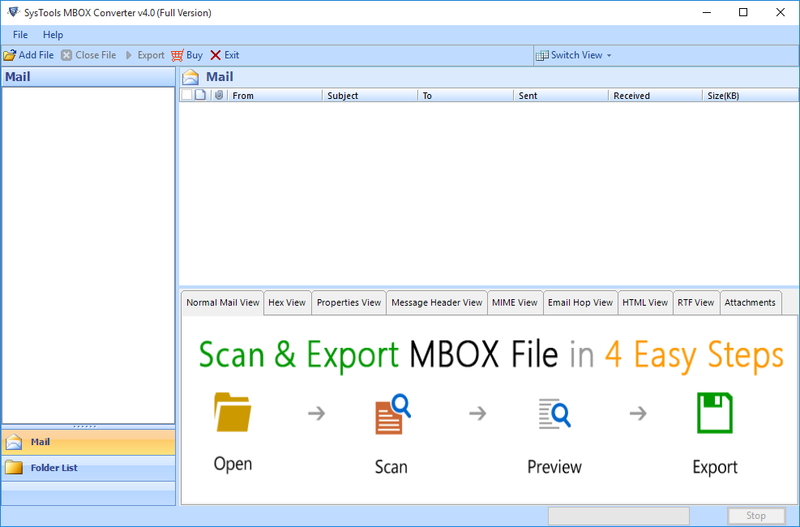 Now Add multiple or single MBOX file using "Add file" option. Select filter option and fill the columns of Export type, Date etc. Choose different Naming Convention from the list for a better search to the output file. 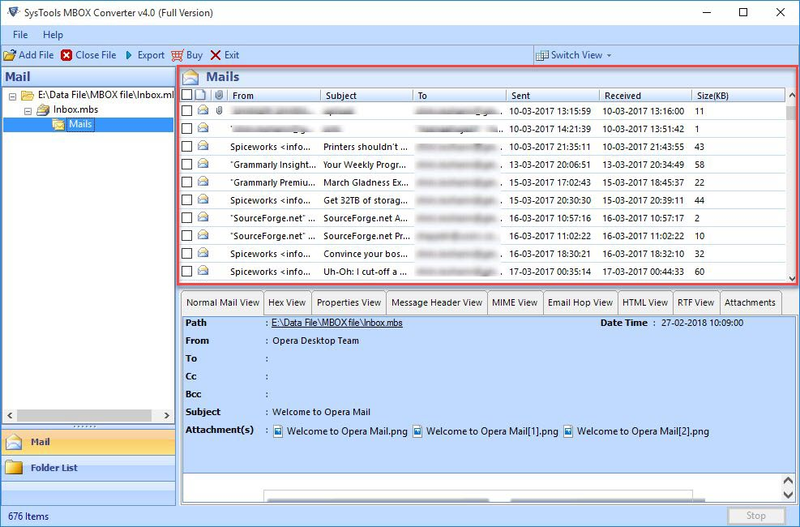 Choose option to "Create separate folder" and give the "Destination folder path". 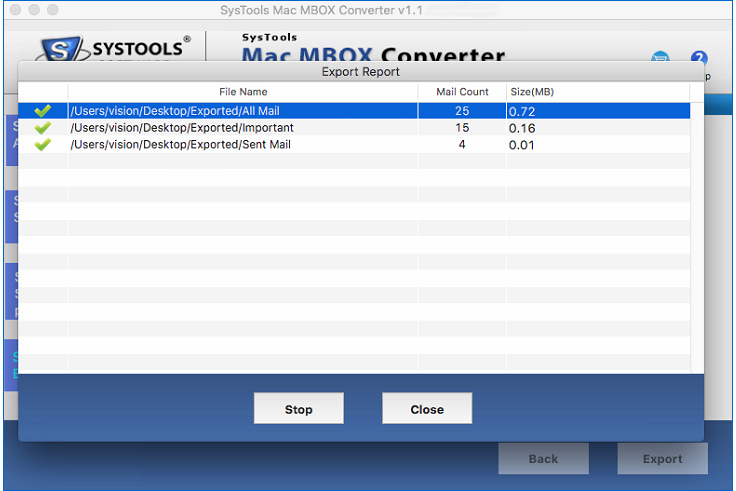 All the internal and external location is shown within the tool. Choose the appropriate location to save the file. 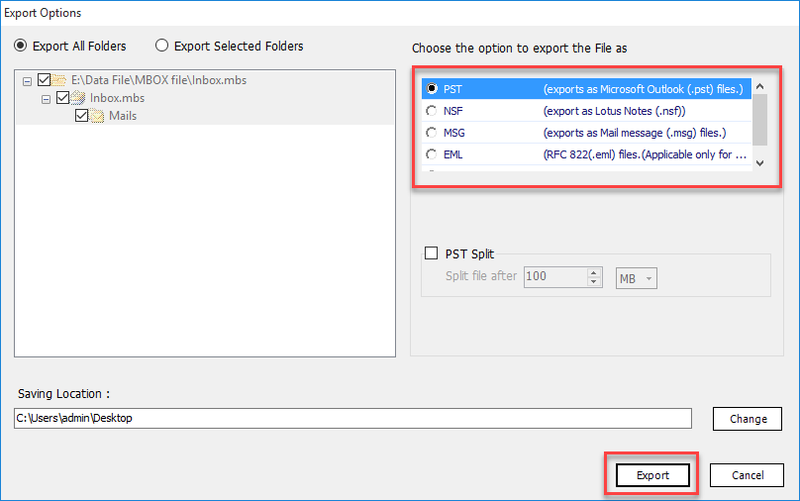 After giving the destination folder path, Click on Export option. The file is converted successfully and is saved in the destination folder path.